The Humanity, Opportunity, Prosperity and Equality Party have launched their 2018 manifesto for the general election. 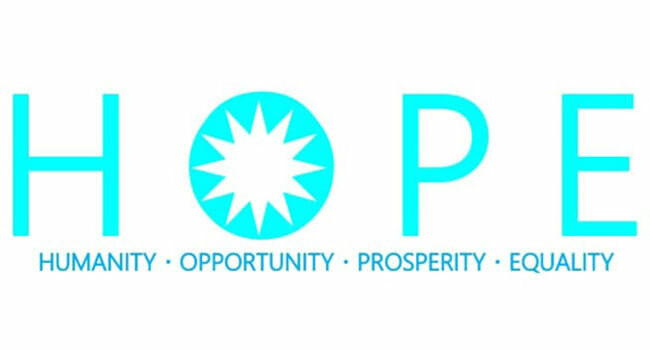 HOPE is the last of the seven parties contesting the election to have launched their 17-page document with a vision to make Fiji a liberal democratic country like Australia and New Zealand. A HOPE government will retain some of the current Government policies if they serve the best interests of the people of Fiji. By the same token, the HOPE party will facilitate review and reform of the current Government policies if so required. HOPE party says they’re not in favor of disrupting Government services unless it is in the public interest. For a strong and stable economy, a HOPE government will be accountable to the taxpayers of Fiji for the prudent management of taxpayers’ funds within relevant legal frameworks and ethical practices. A HOPE government will make 15 to 20 staple/food items Vat Free or zero-rated including kerosene, prescription medicine and women’s sanitary products. HOPE has promised to ensure that funds allocated to Head 51 of the Government budget is up to $10 million only for emergency purposes to ensure transparency and accountability of the use of taxpayers’ funds unlike the current government’s practice of placing nearly all budget lines under Head 51. For education, A HOPE government will recommend three streams from 4th form – Arts/Vocational training (Cultural Arts Centre); Academia (free tertiary education), Sports (Institute of Sports). Graduates can work in Fiji or abroad with some pre-signed agreements about reinvestment into Fiji. There will be no rule about areas of study but recommendations from government where deemed necessary. HOPE has also promised it will seek the views of Fijians in the Vola-ni-Kawa Bula on the reinstatement of the GCC with a significant reform proposal from a HOPE government that only the leader of a yavusa can be a member of the GCC. Members of the GCC will be drawn from the 14 provinces.